Torah Anytime currently has more than 20,000 Torah videos of over 400 different speakers. 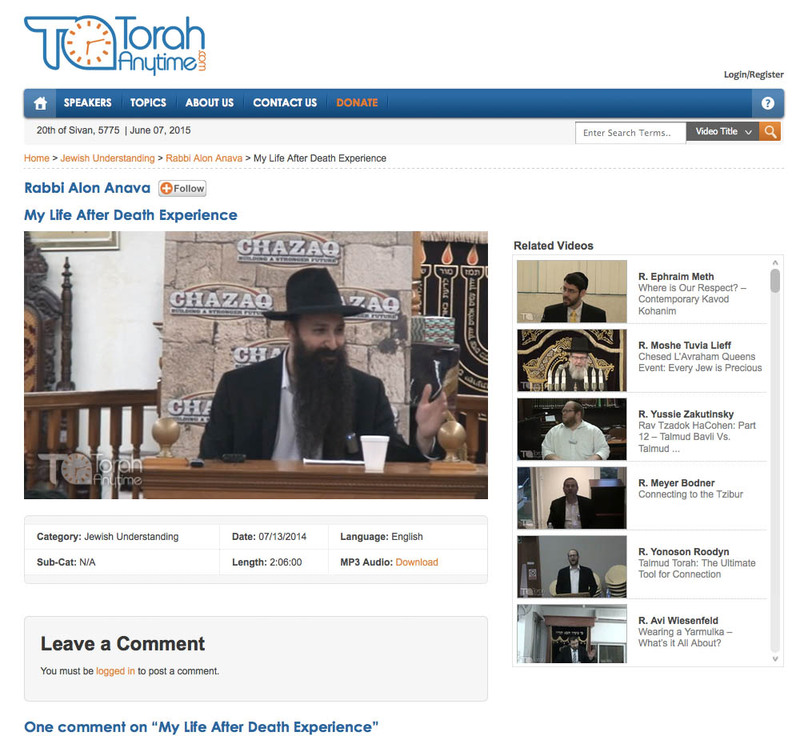 TorahAnytime.com records and post up to 100 lectures per week, and receive close to 100,000 monthly visits from over 120 countries, and these statistics are growing rapidly as we speak. TorahAnytime.com is proud to say that more than 3,500,000 hours of Torah is being learned every year through TorahAnytime.com!